Right now we have to deal with heartbreak, as Sir Terry Pratchett has left us. It is, all things considered, a fortunate thing, for he wanted very much to pop off before that pesky Alzheimer’s got too devastating, and it’s only fair that he left while still working instead of after, say, pottering into silence. There is also the comforting fact that he rather liked Death — his Discworld novels featured Death as a quietly charismatic cat-loving hero with a capital-letter baritone — and the two are probably getting on famously right now. Yet to us it hurts. It hurts rather like being hit with a piano flung by a hairy librarian, in fact, just to come to grips with the fact that we will have no new Pratchett books every year. Speaking with the gluttonous selfishness of a reader, this feels like a devastating, soul-crushing blow. What he has left us with, however, is dizzyingly special: a whole new world, one that makes ours infinitely better. A flat planet held by four elephants perched atop of a giant turtle, his Discworld is fantastical, surely, filled with magic and politics and warriors and witches and policemen, but like the world we live in, there is so much more to it than meets the eye. 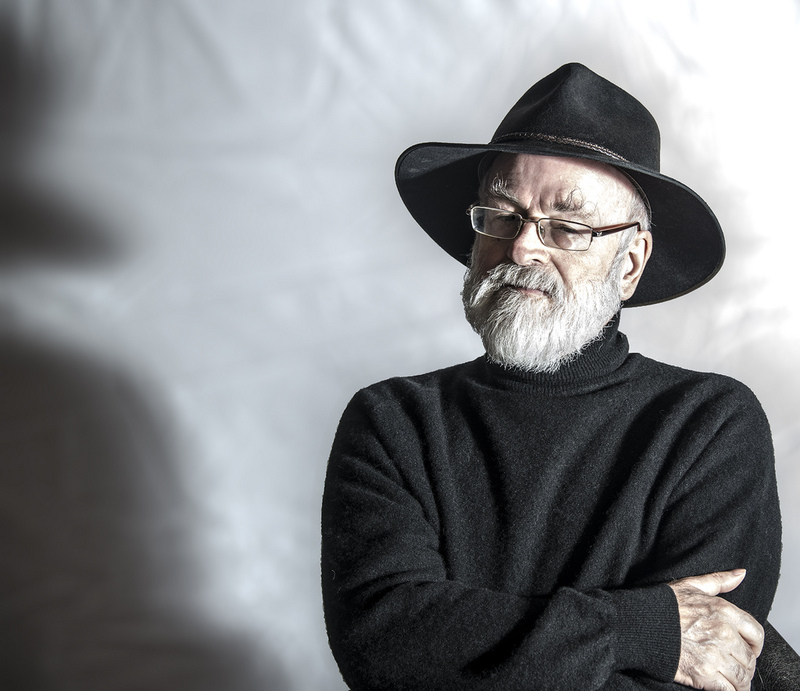 Pratchett’s universe is deliciously imperfect, with crowded cities and racism and bureaucracy and outdated social hierarchy, his novels led by the unlikeliest heroes and heroines. Pratchett takes turns zooming in on some under-explored corner of his very round (but decidedly unflat) disc, and reveals an entire worldview, shrewdly sprinkling just enough magic to make his satire gleam blindingly bright. There have been many fictional universes of note across fantasy literature but — despite Pratchett being labelled a ‘comic fantasist,’ inexplicably considered a lesser thing — nothing comes close to the richness and real-world relevance of Discworld. Not JRR Tolkien, not George RR Martin, not Douglas Adams, not CS Lewis, not JK Rowling, not Frank Baum, and not even the great HP Lovecraft. Each achieved mastery over a particular fantasy genre, but Pratchett’s work mocked the very idea of literary limitations, going from police procedural in one book to Christmas adventure in the next, from vampires to football, from the birth of motion pictures to the examining of religion itself. The 40 novels that make up the Discworld — the 41st is scheduled for this September — are books that irresistibly transcend any genre convention, with appeal for all. Pratchett’s work belongs, then, closer to the Wodehouse shelf than to the one creaking beneath the Tolkien tomes; these are cunningly clever books everyone can be enchanted by — which makes him, in many ways, the best fantasy writer of them all. Pratchett is also a dashed clever novelist, filling his books to the brim with stunning insight. Verbal, philosophical and observational gems are scattered about generously, willy-nilly. Picking up any volume at random (and feel free to take up the challenge and make your day instantly sunnier) allows a reader to metamorphose into a delirious treasure-seeker panning for gold. I have in my lap Unseen Academicals, for example, his hilarious take on football, and every other line is a work of gorgeousness. “Juliet didn’t exactly wash dishes, she gave them a light baptism.” “She read the way a cat eats; furtively, daring anyone to notice.” “Ponder Stibbons had once got one hundred percent in a Prescience Exam by getting there the previous day.” “She had some sort of …relationship with Vetinari. Everyone knew it, and that was all everyone knew. A dot dot dot relationship. One of those. And nobody had been able to join the dots.” “If you flash spells around like there’s no tomorrow, there’s a good chance that there won’t be.” It’s all magnificence and wizardry, and in a Pratchett book it is everywhere you look. Heck, he even turned the caps-lock key into an overwhelming special effect. When I met Terry a dozen years ago at the University of Warwick in 2003, he had just given a terrific talk about creating universes. I hadn’t read any of his work at the time, but he wore a most excellent hat in the picture accompanying his author bio, plus I’d heard many a rave, and, inspired thus by topic and speaker, I went along and proceeded to spend the lecture scribbling and giggling. Terry Pratchett was a fascinating speaker — warm, funny, self-deprecatory and most insightful — and after the talk, I went up to him, he made a pleasant blue-hair jibe [I had blue hair at the time] (which I won’t repeat, don’t bother asking) and I asked if I could buy him a beer and chat a bit. He was most amiable, so we trotted off to the Graduate bar and talked about writing and fantasy. It was a fun chat, highlighted, I feel in hindsight, by his recommending Good Omens as a good starting point for his work “because I’m sure at least Neil Gaiman’s bits won’t be completely dreadful.” For the record, he also called the first half-dozen Discworld books absolute rubbish — but that could have been because he was, at the time, telling me to go ahead and write a few bad books to find my stride as a writer. “Write, write, write,” I remember Pratchett saying. “You can always disown the truly dreadful stuff later.” It was a pleasant and greatly inspiring evening, following which I swallowed down his books by the dozen and kicked myself in the shins for getting to the party that late. That, I assumed, was that. It was much later that a pretty, raven-eyed Pratchett-fanatic gaspingly pointed me to Thud! — his 2005 volume — which happened to feature several dragons but only one, “a young dragon with floppy ears and an expression of mildly concussed good humour”, to be precise, is referred to by name, and his name is Raja. There is, as a matter of fact, such a preponderance of magical goodness in Pratchett’s work that perhaps Death — which has, I wager, led to him trading tales with Jerome K Jerome up there, or something similarly spectacular — is merely Terry’s way of telling us to halt. To refrain from serially inhaling the magic without pause, but instead to appreciate the world — both the Disc one and this one — and to stop and smell the sublime. With no more new Terry Pratchett books to catch up with, he’s left us a wonderland we can slowly sift through, learn from and be awed by. What greater legacy could there be? Oh, and there’s the moral to the story. The moral in the story about my becoming a dragon — and I’m certain this is the reason I found immortal mention — is that one should always buy a writer a beer. So long, Terry Pratchett, sultan of the streams of story. Cheers, and do PLEASE keep watching over us. Feels nice to know a fellow Discworld-ian in town. Thank you, glad it struck a chord. Miss him sorely already. You lucky,lucky man. I am green wih envy right now. You lucky, lucky man. I am green with envy.